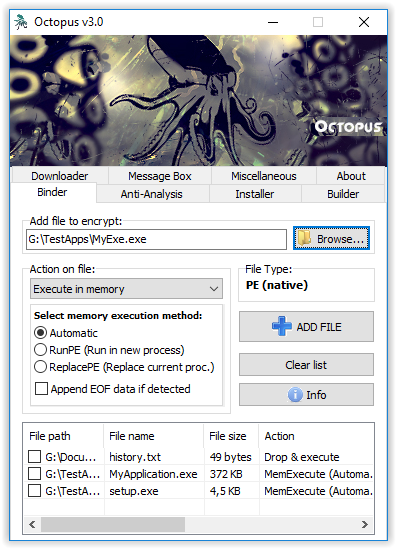 Octopus Protector v3.0 is out – Limited number of spots available! 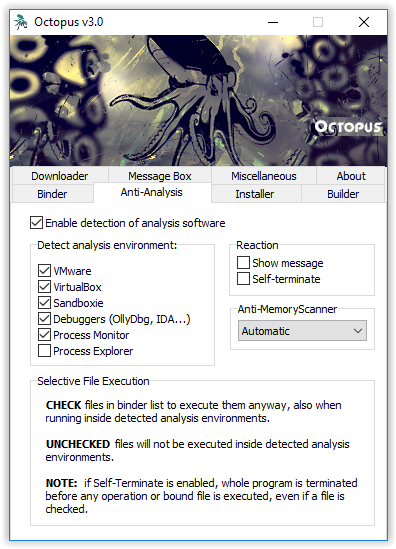 [+] Added an Anti-MemoryScanner, which prevents the dumping of the unpacked executable. It can be set on Automatic mode (recommended), Forced On or Off. [+] Added Automatic mode, which automatically selects the best execution method for the provided exe. [*] New, more user-friendly Binder GUI. [*] Other minor changes and updates. We have limited spots available in order to keep service private and your Protector secure.